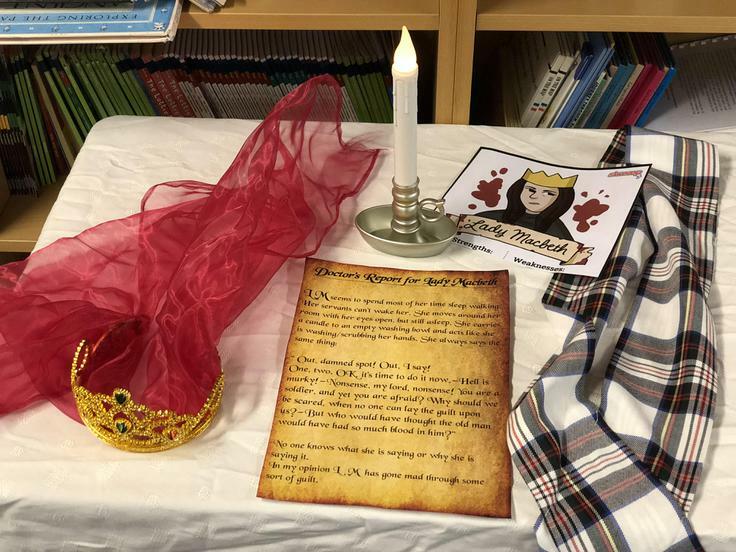 Shakespeare has once again taken over the school! 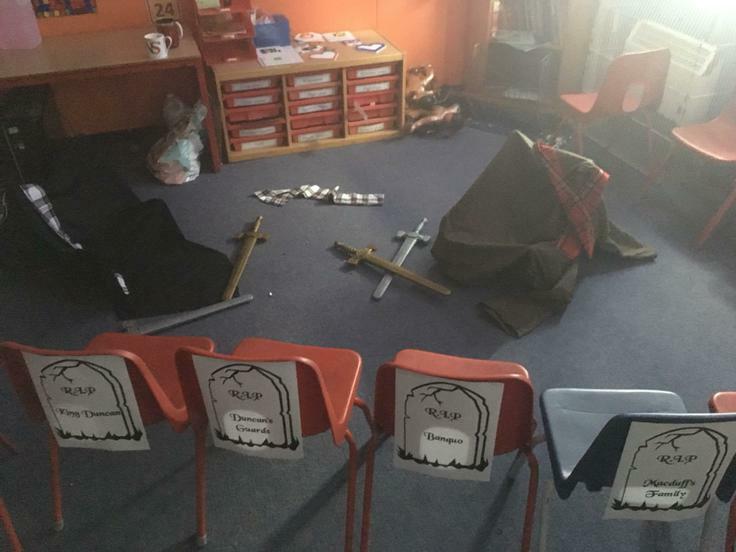 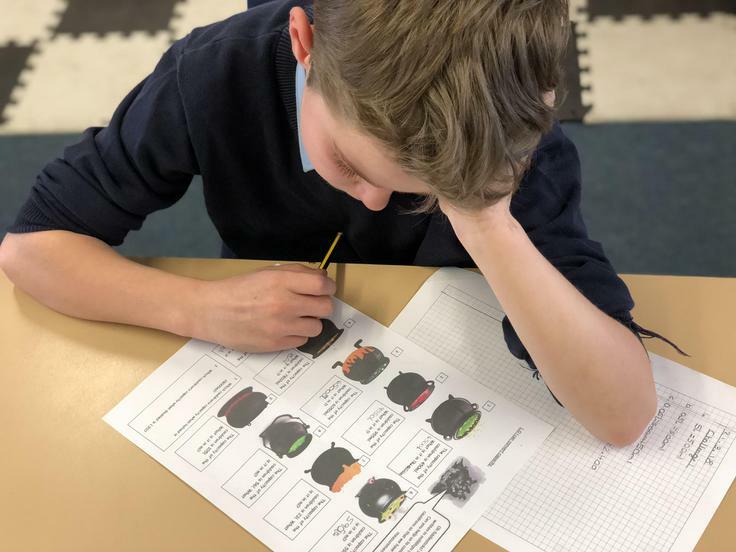 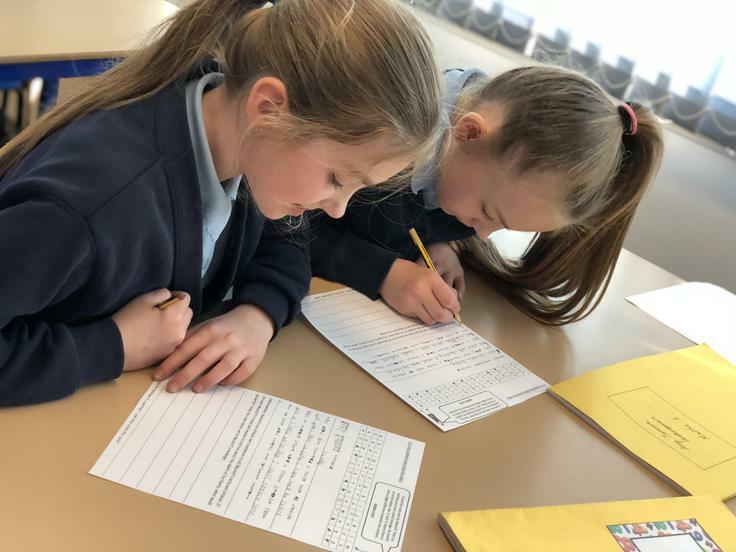 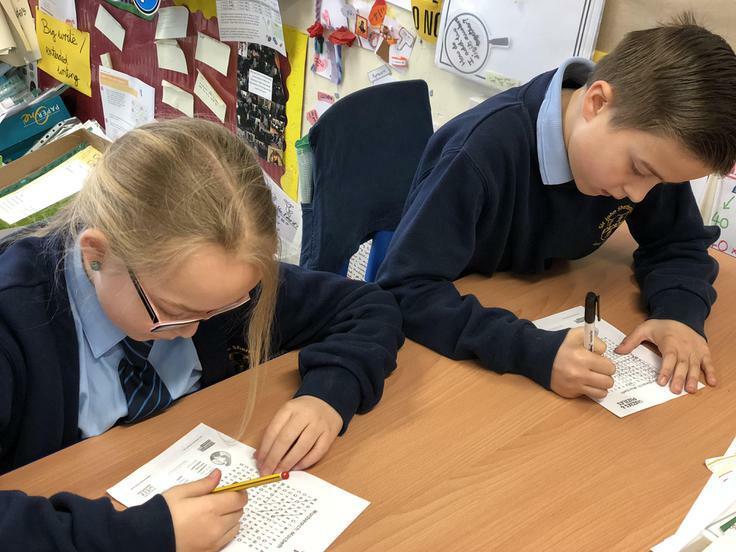 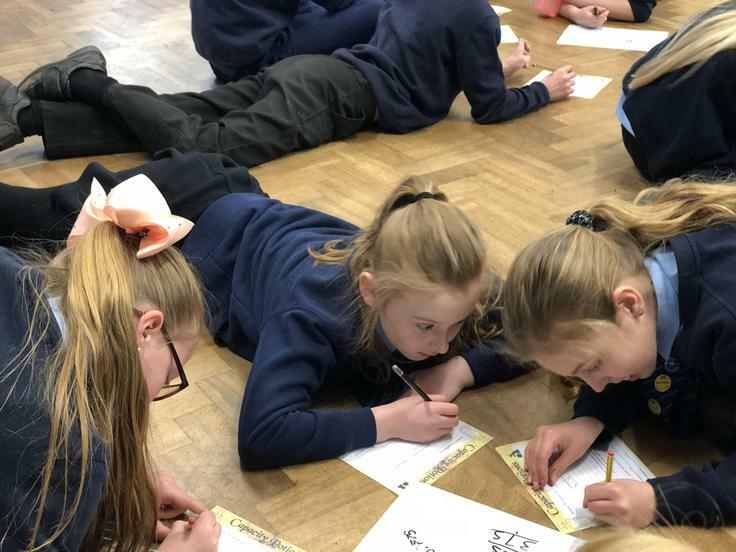 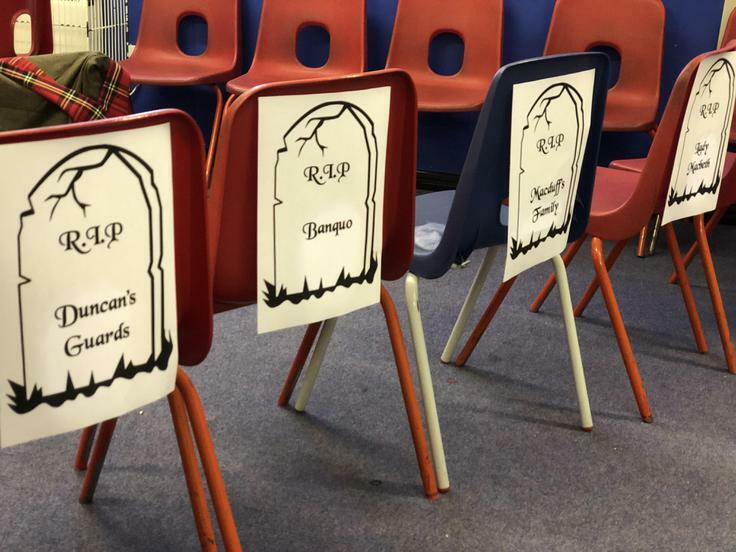 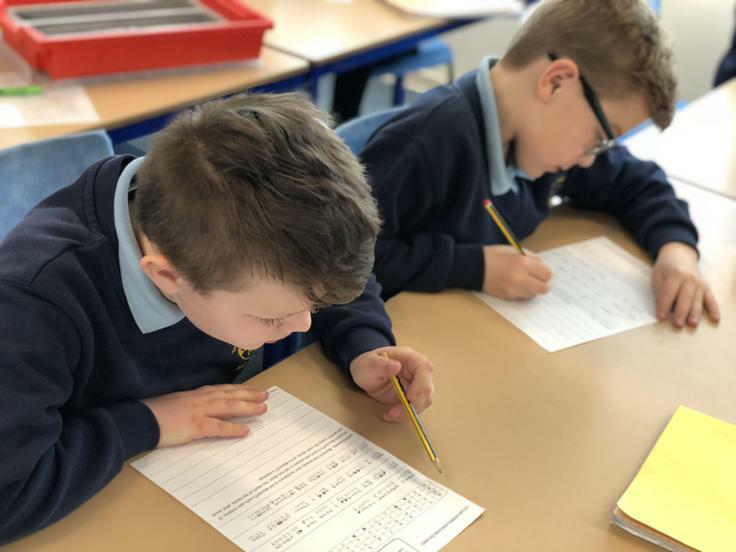 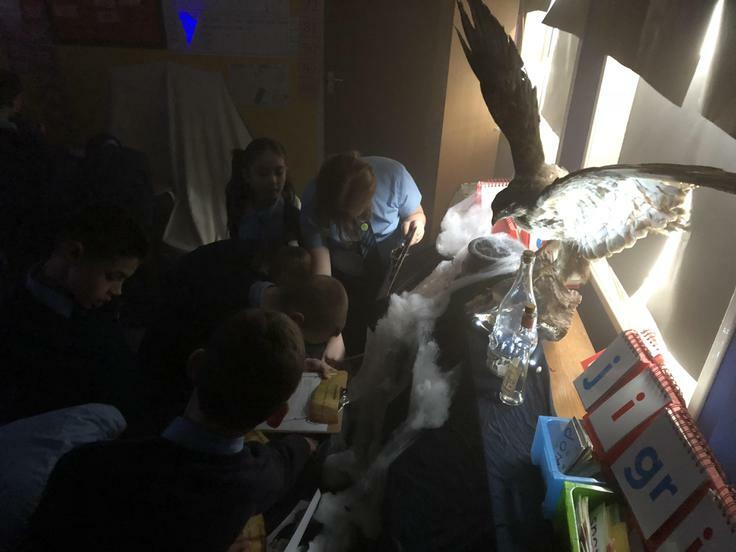 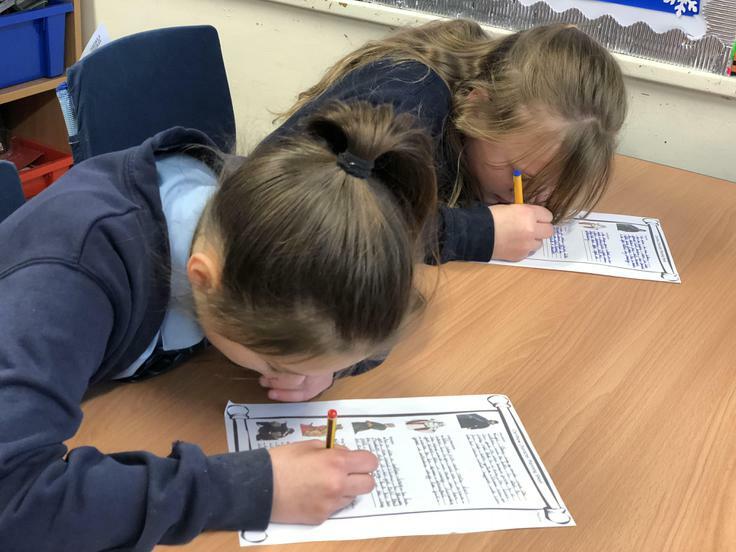 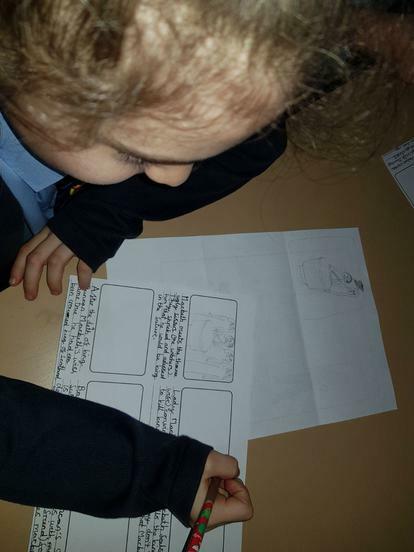 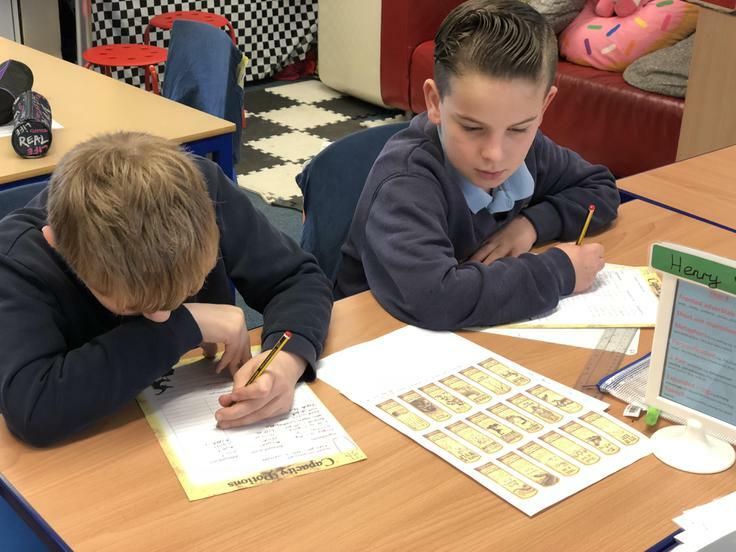 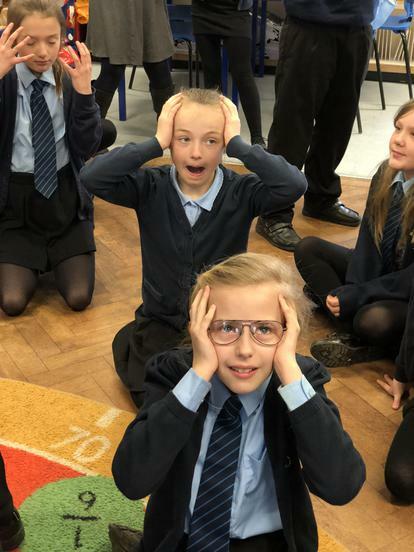 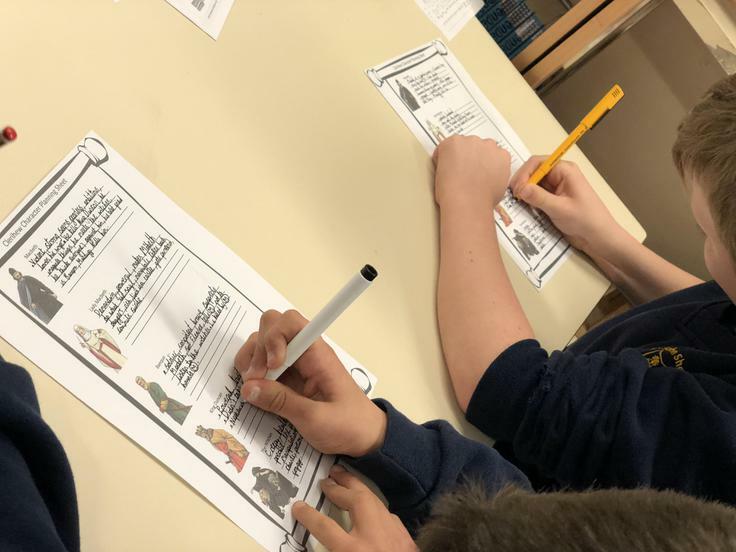 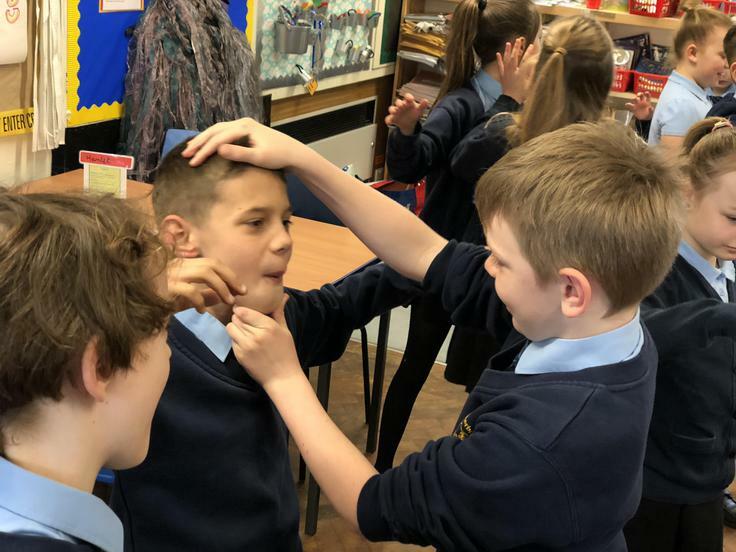 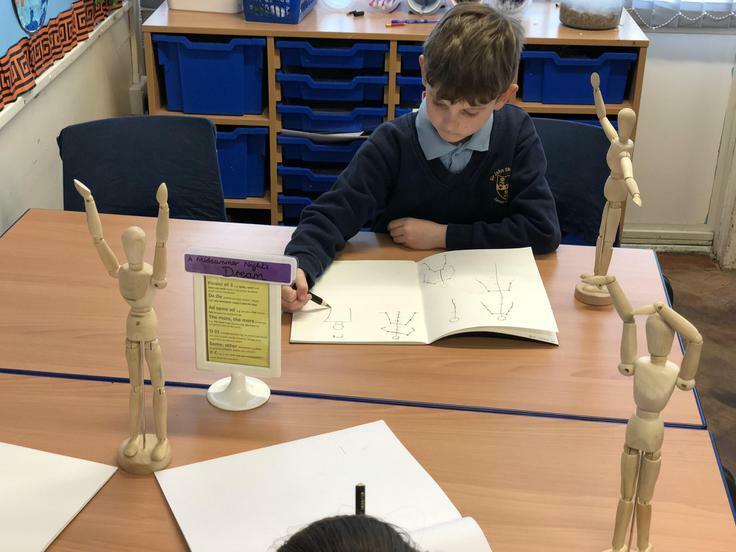 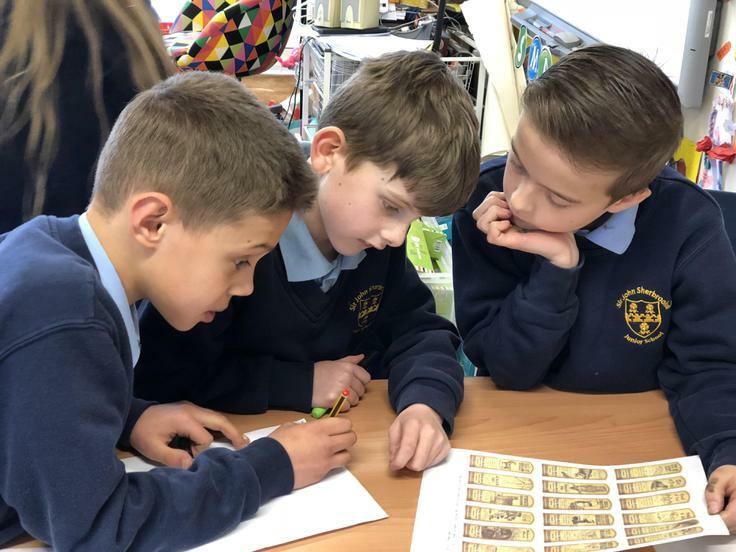 Every class has spent every lesson having their learning themed around Shakespeare. 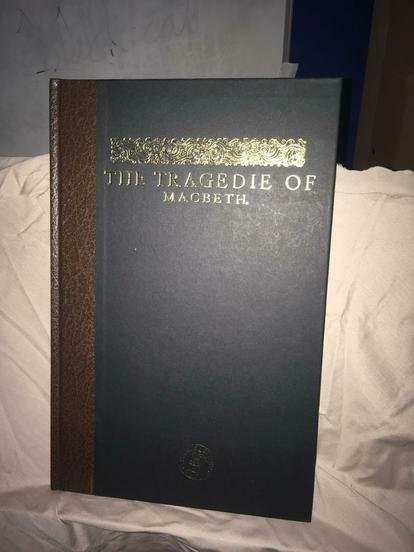 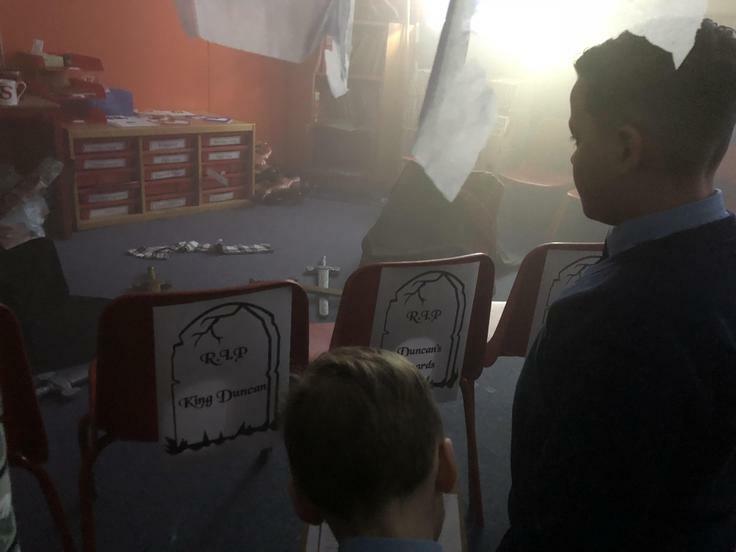 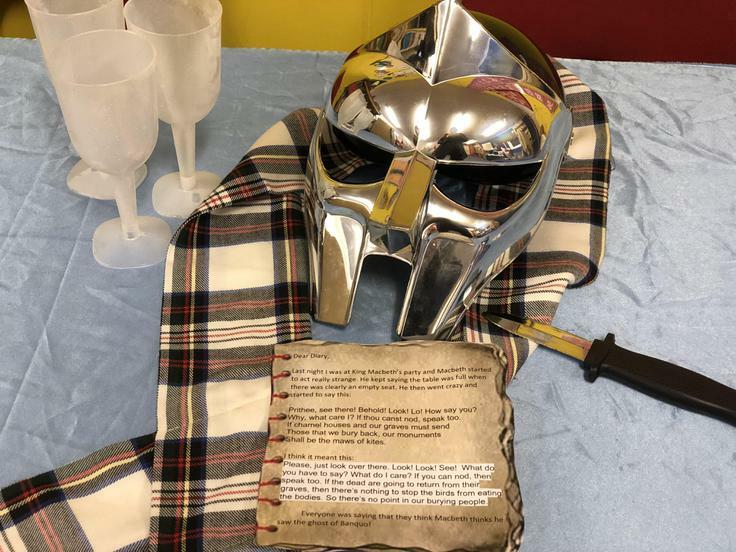 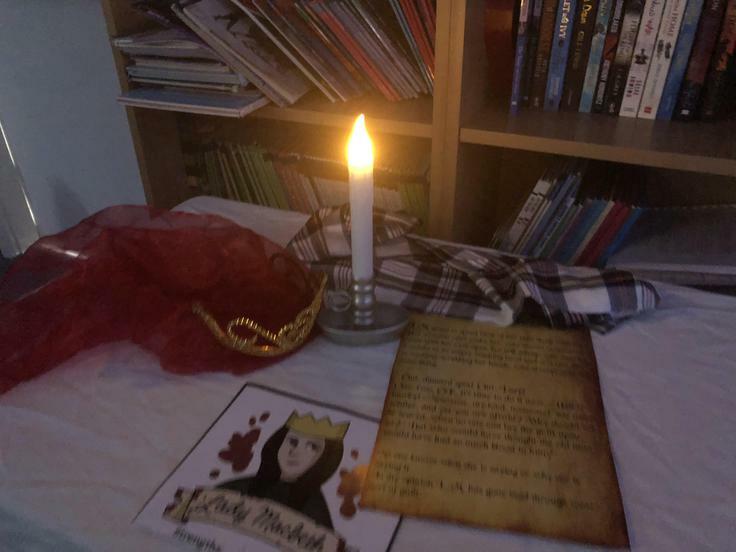 Our whole school play for this year has been Macbeth and the children have explored it in many different ways. 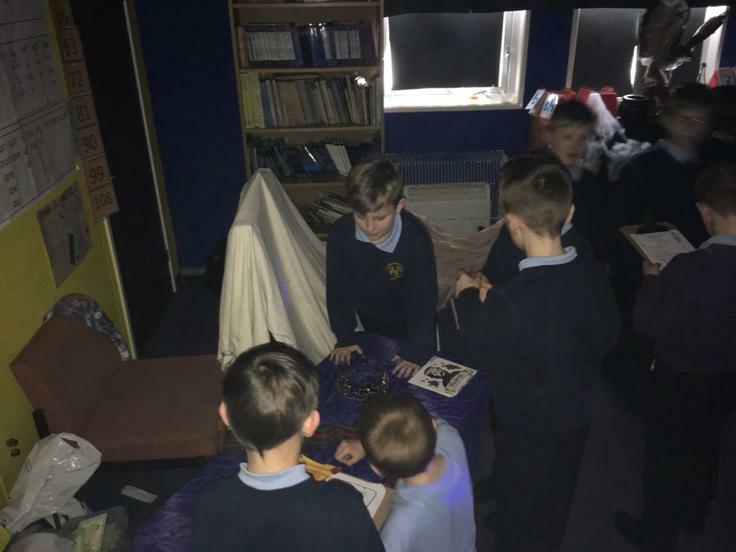 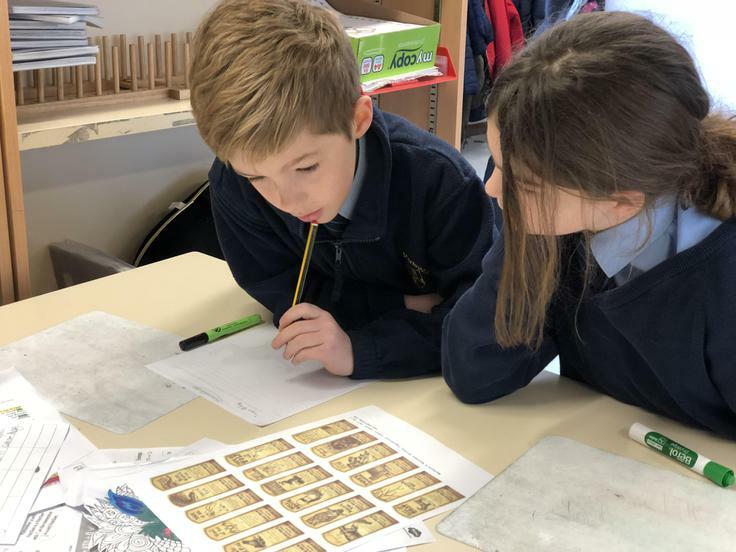 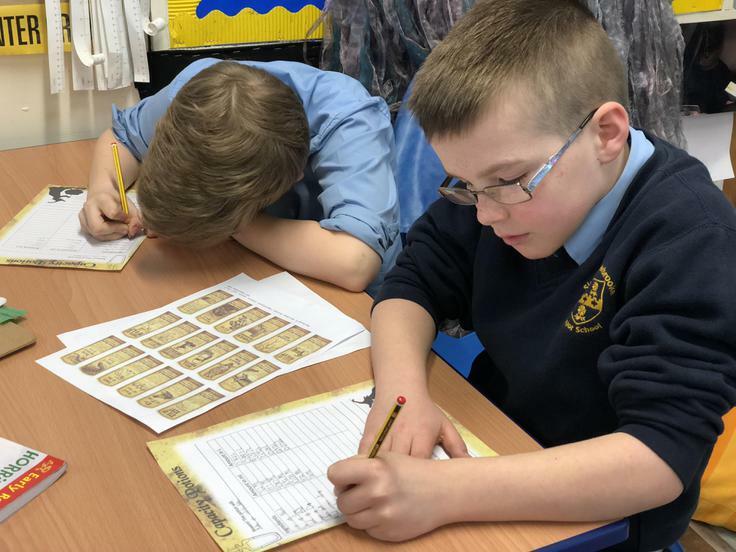 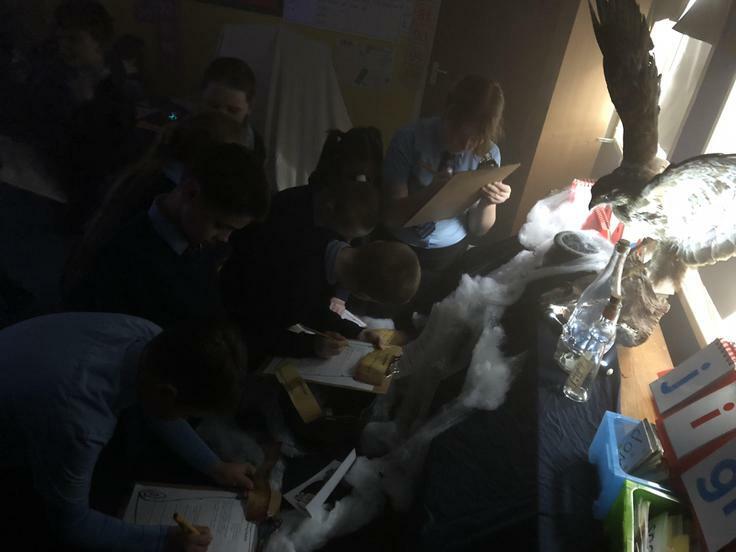 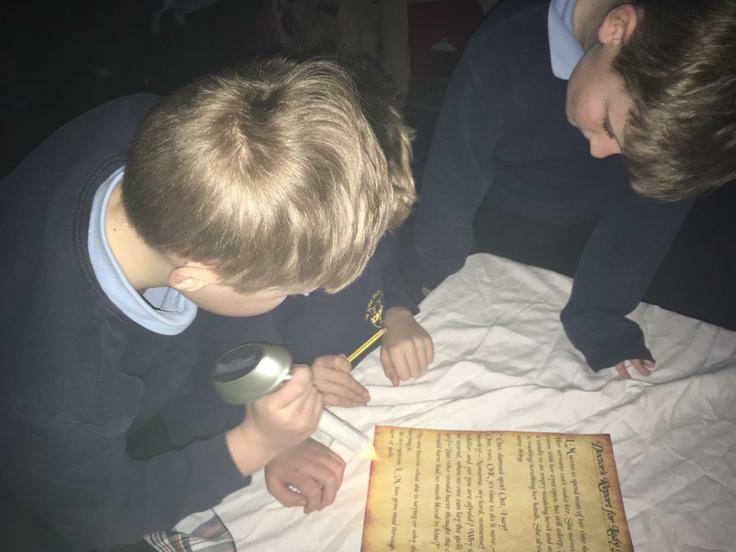 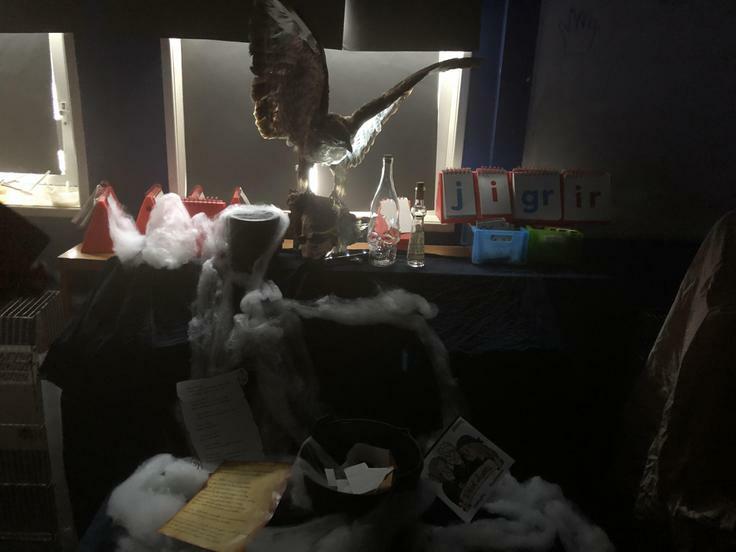 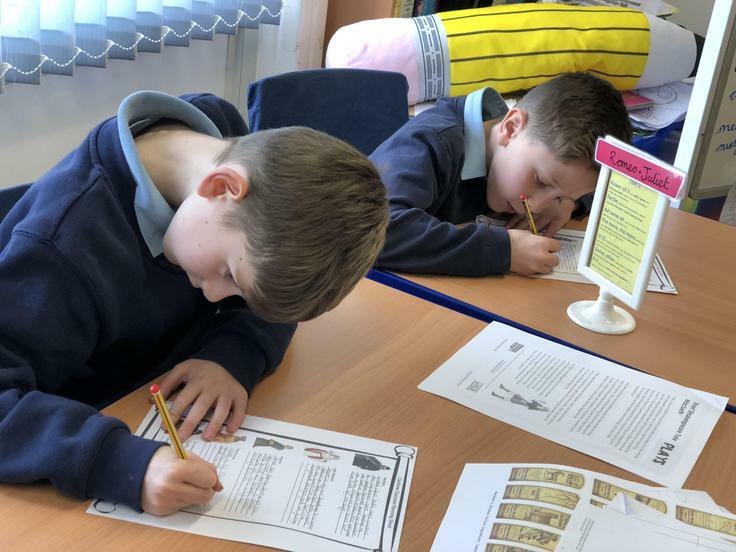 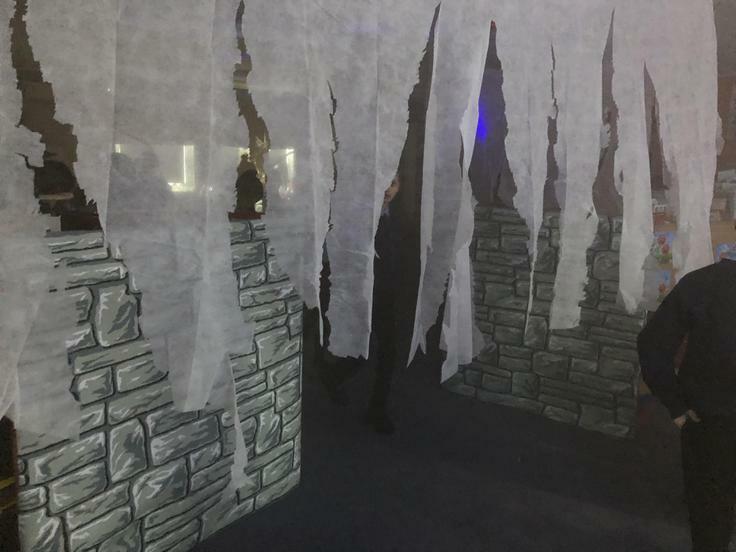 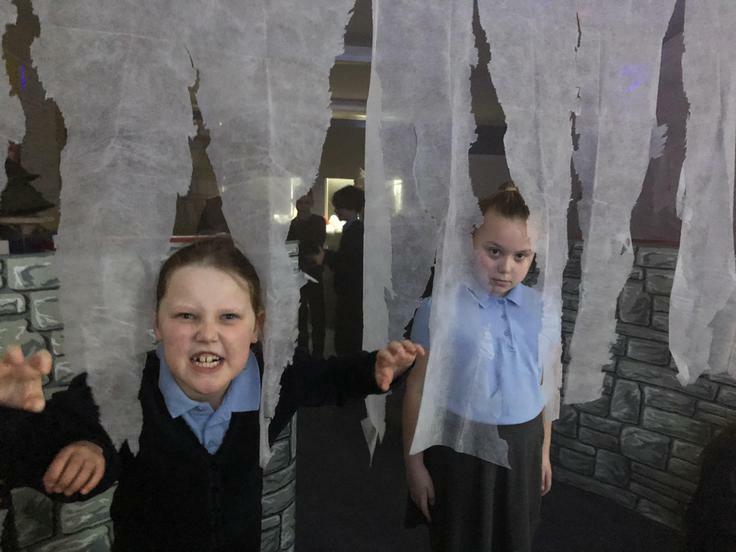 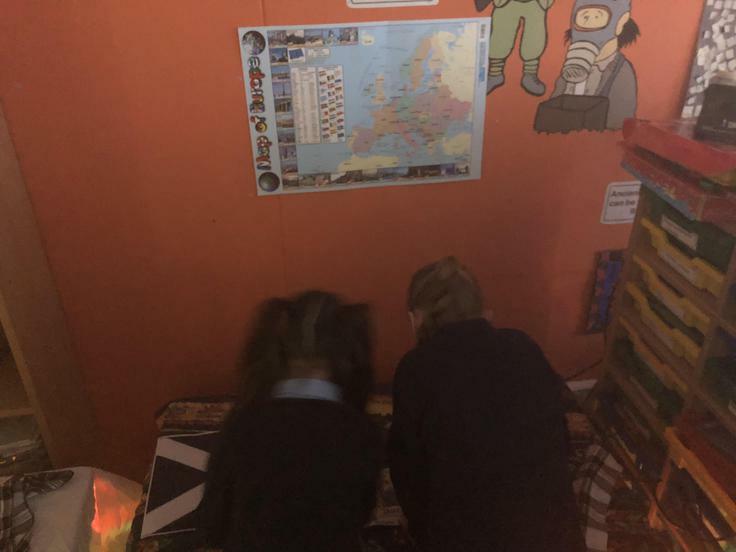 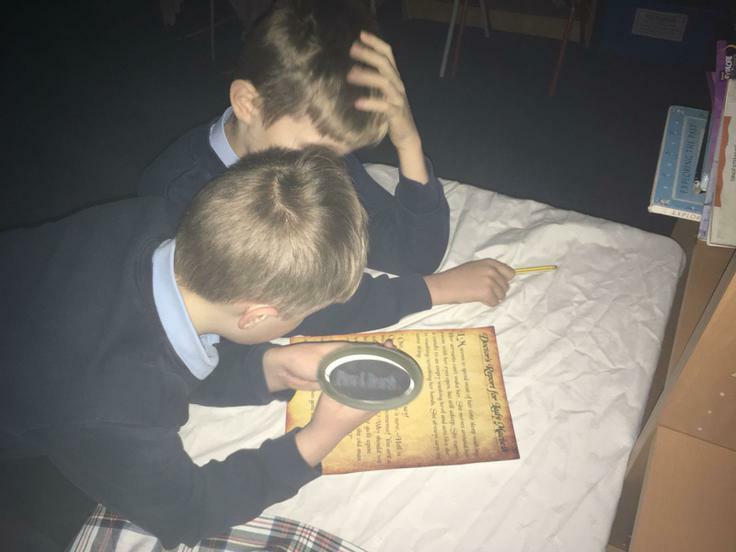 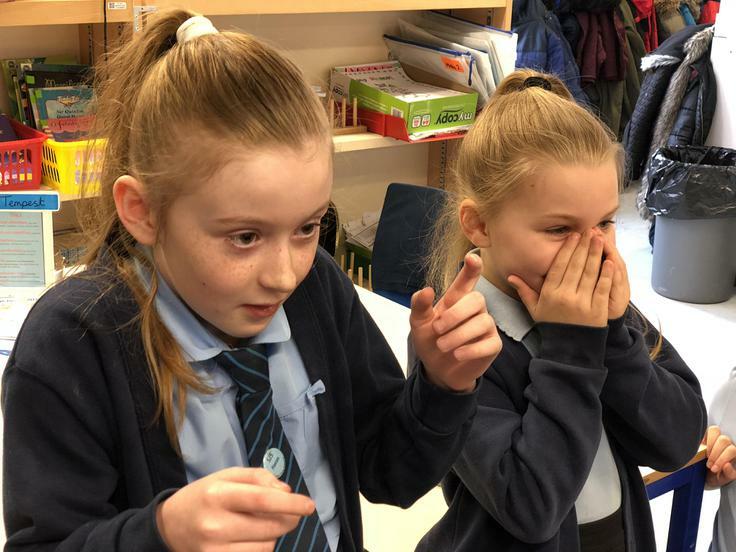 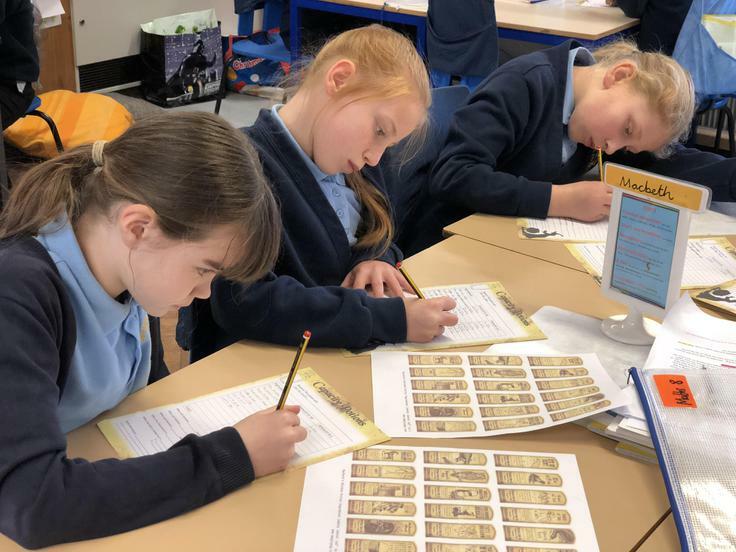 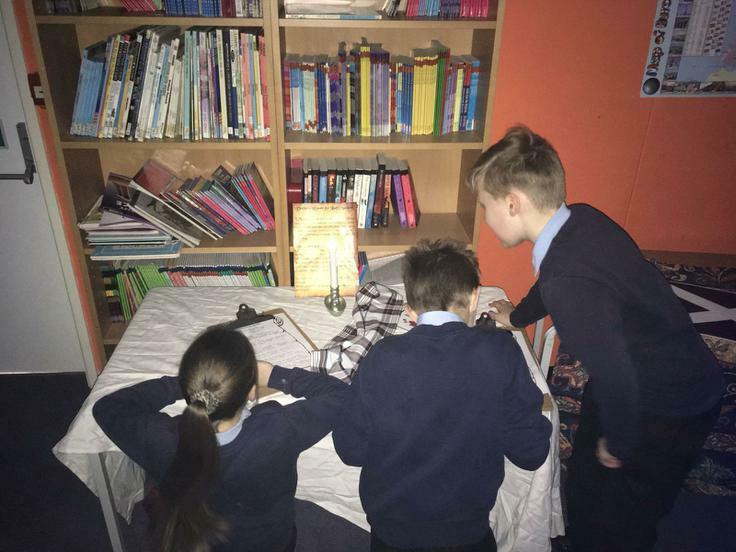 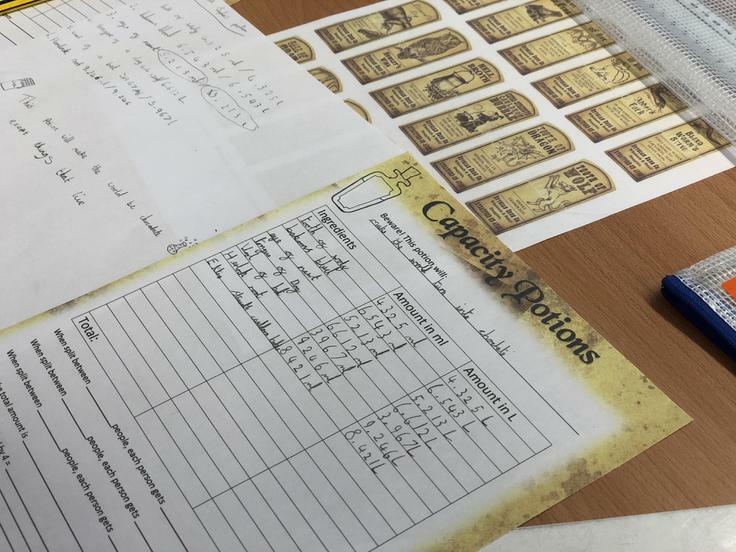 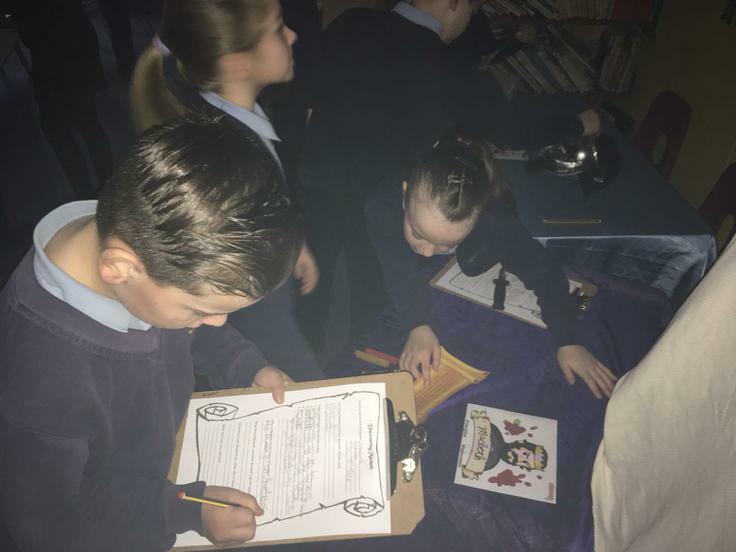 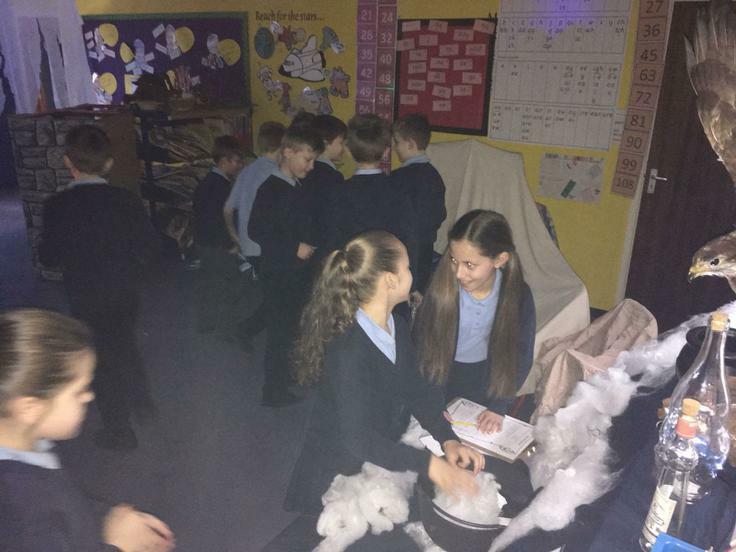 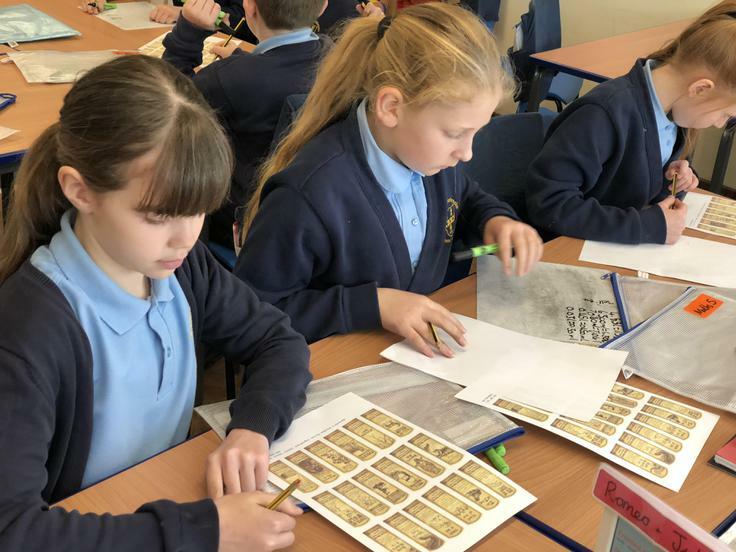 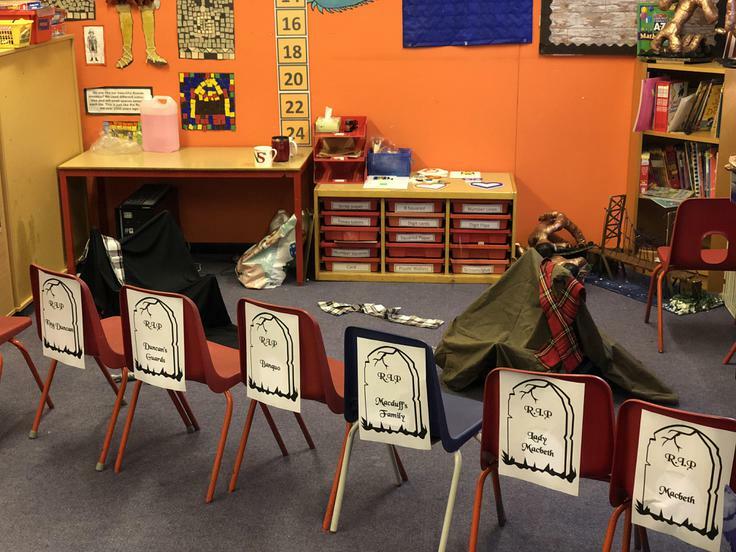 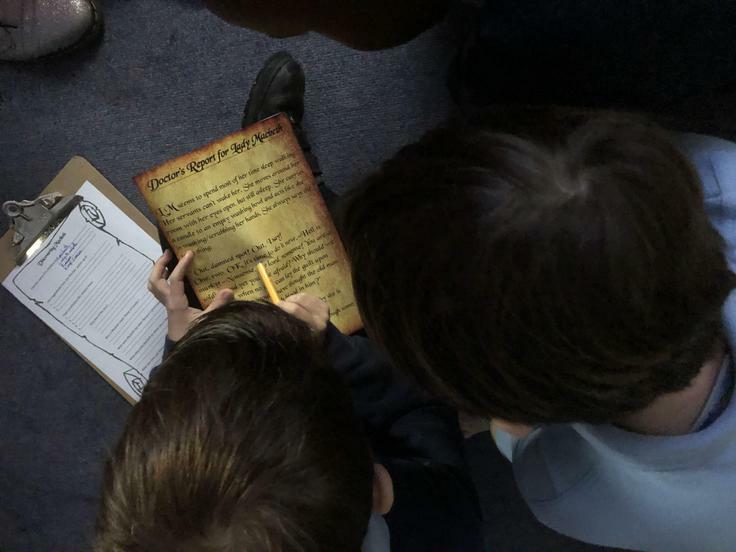 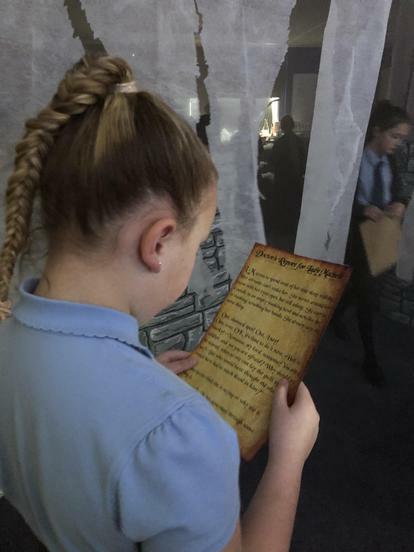 Each class visited the 'Macbeth Mystery Room' and solved the clues to work out the story. 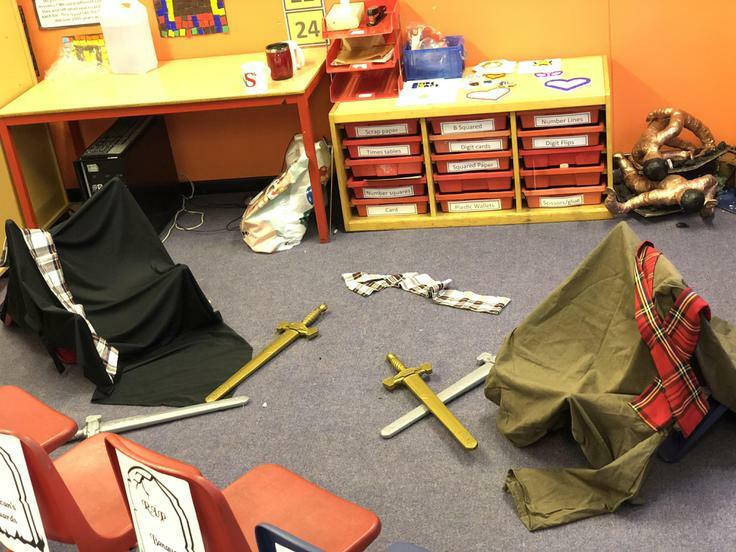 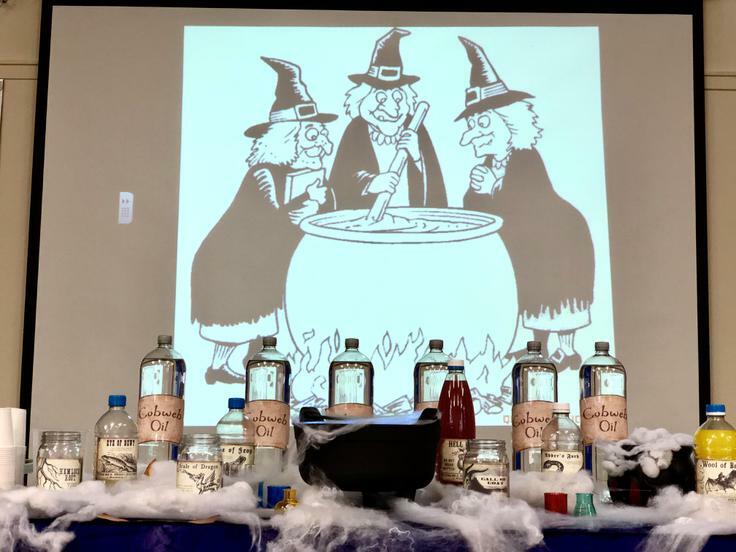 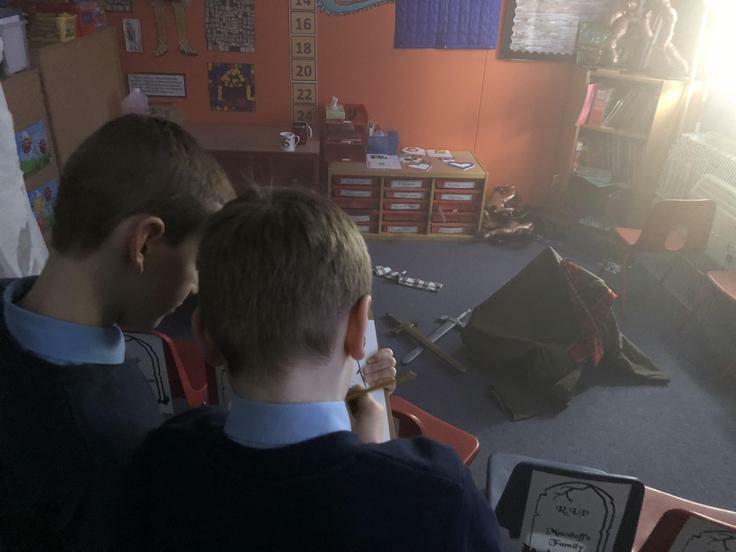 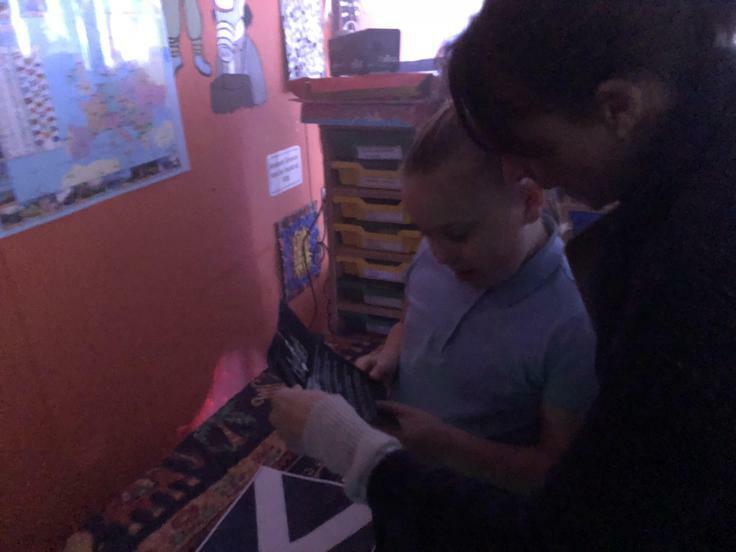 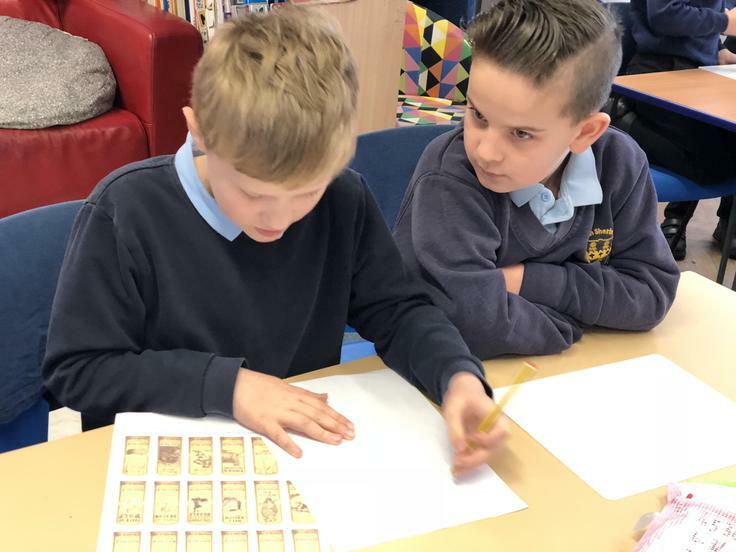 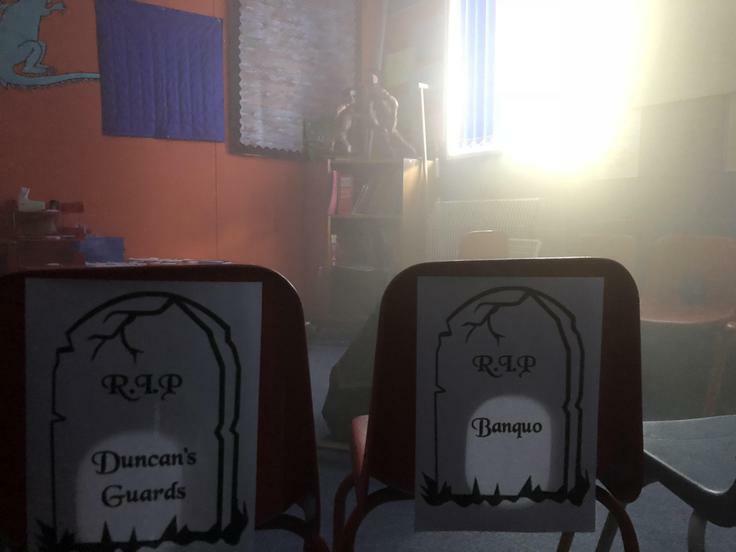 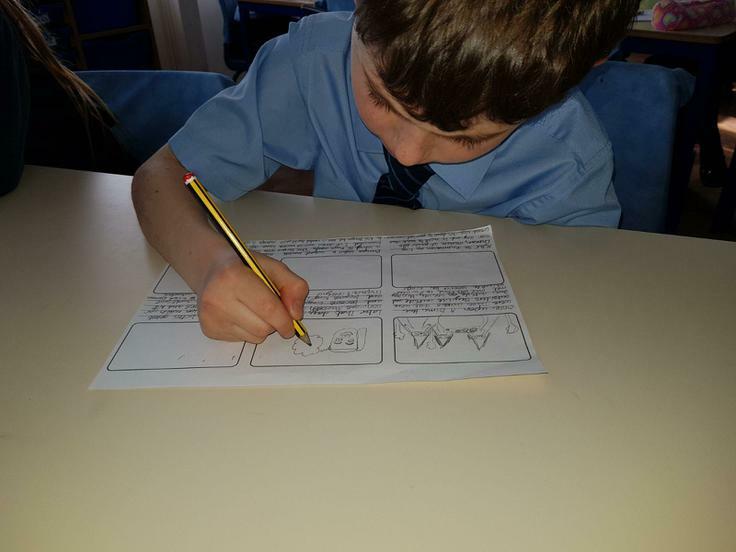 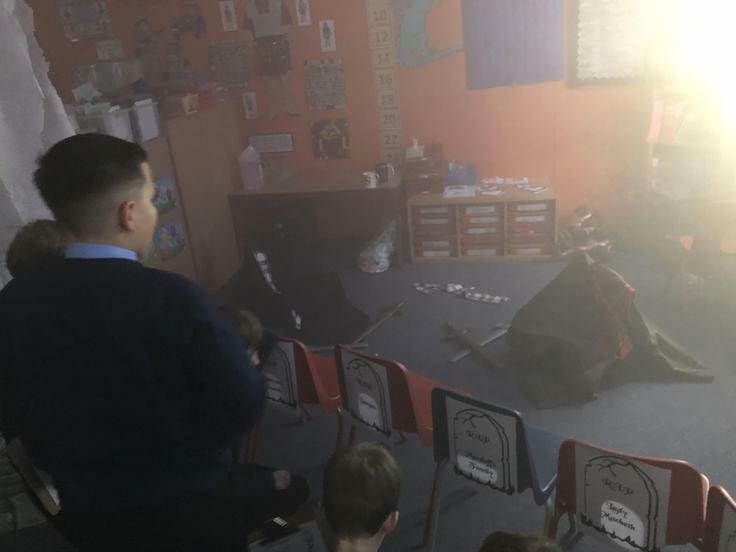 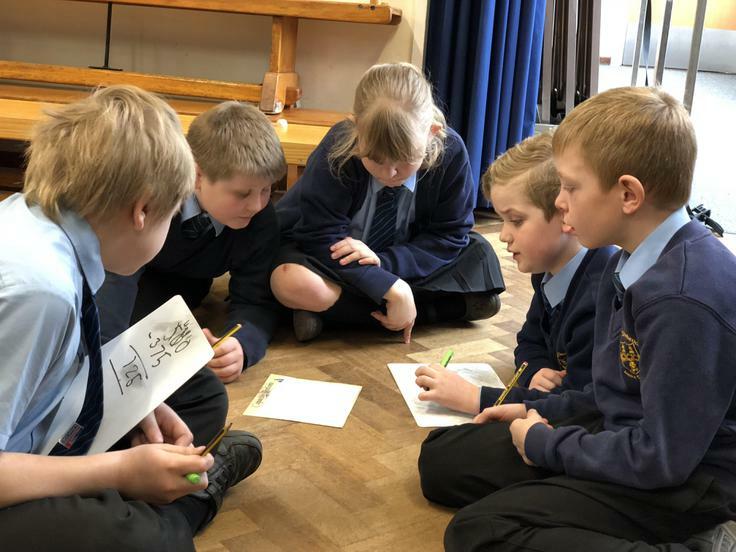 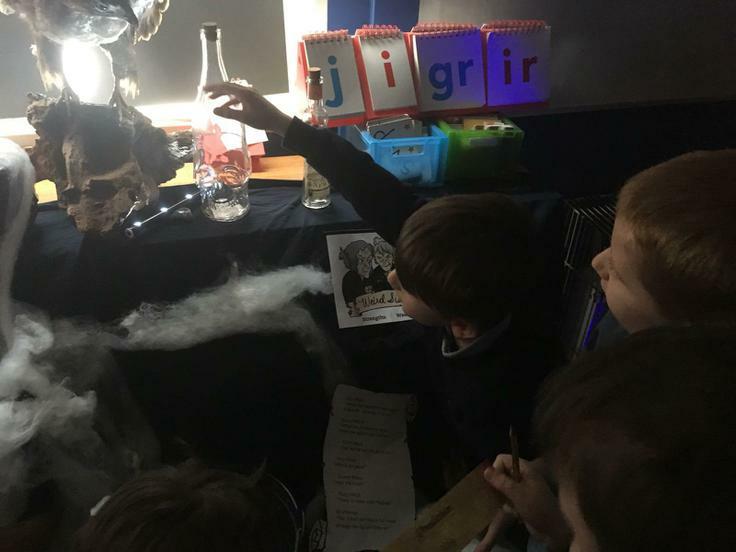 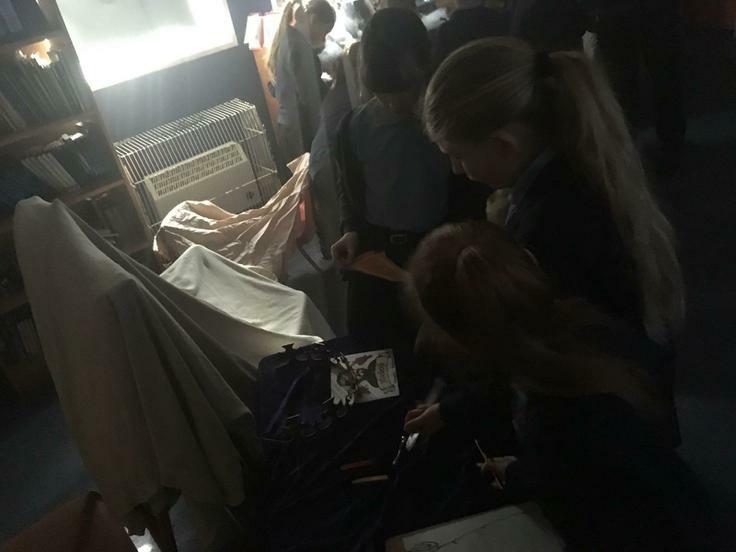 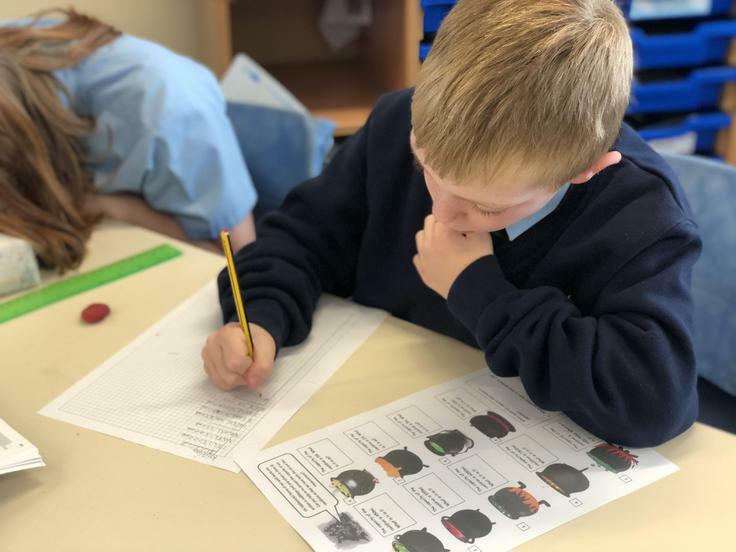 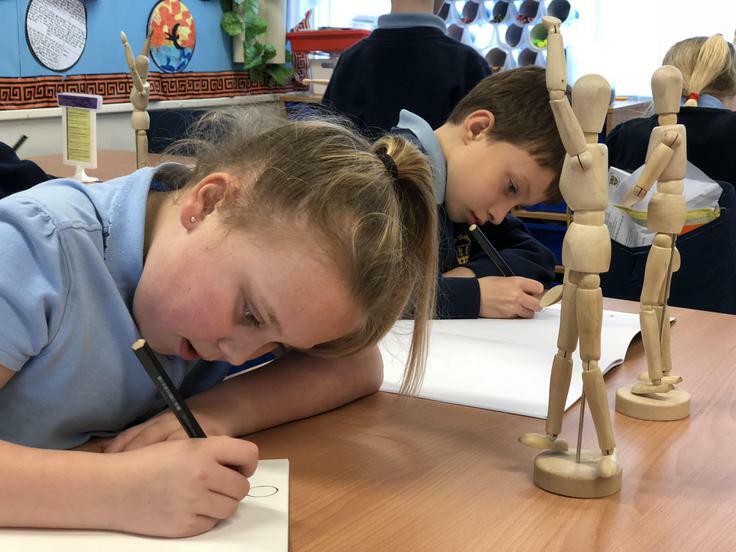 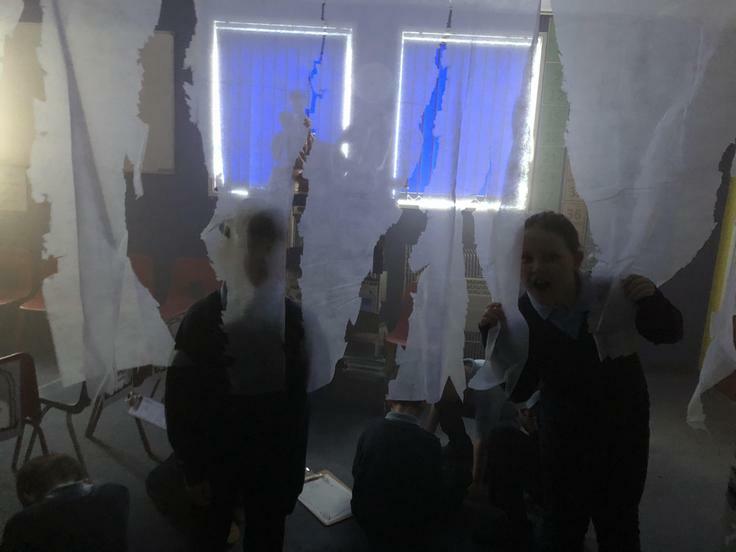 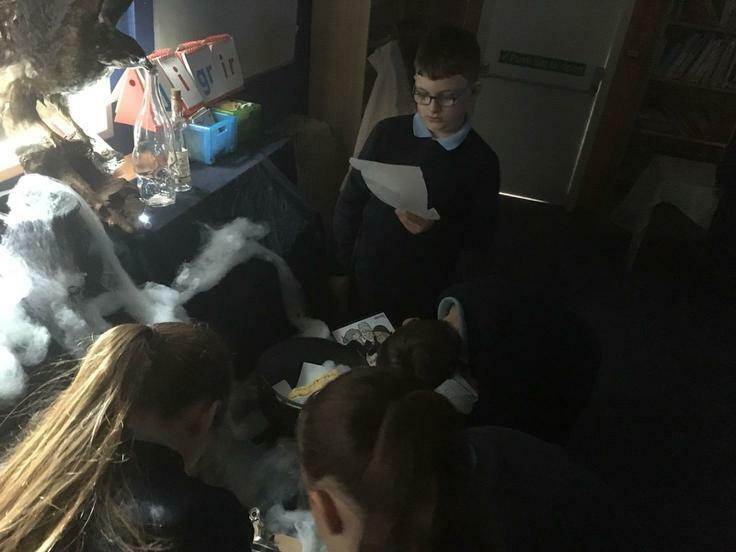 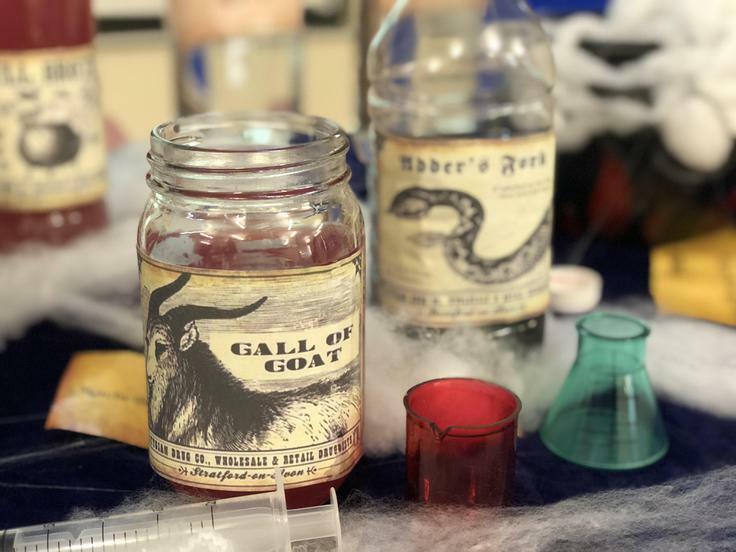 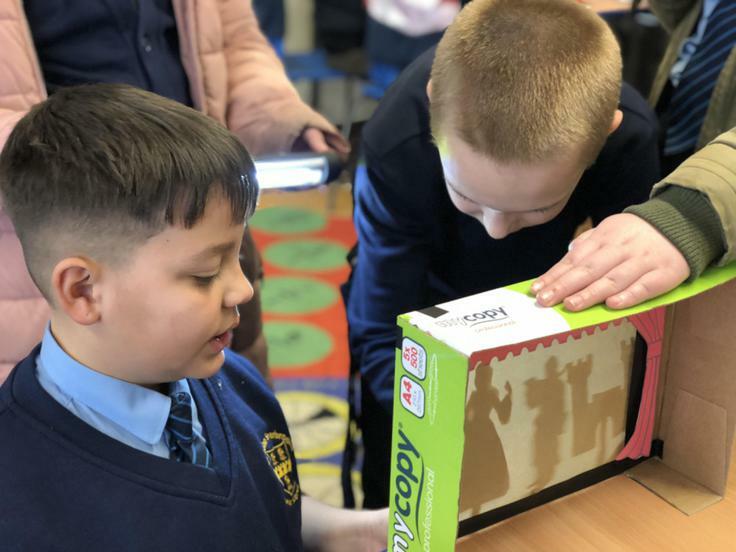 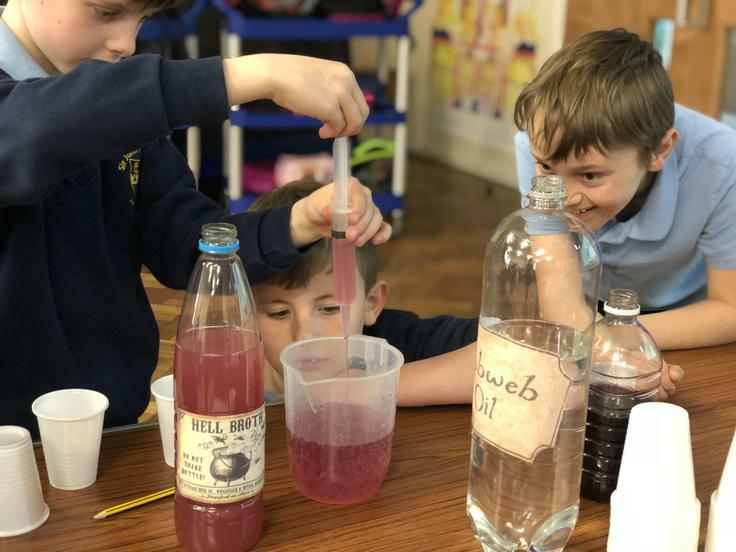 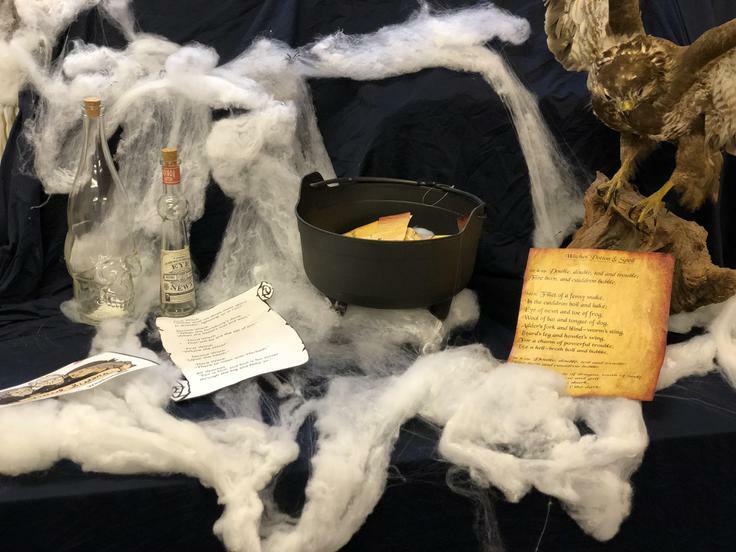 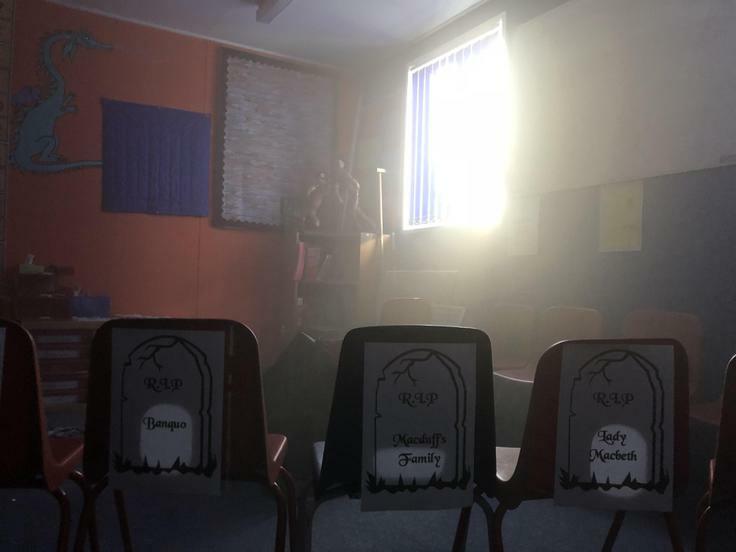 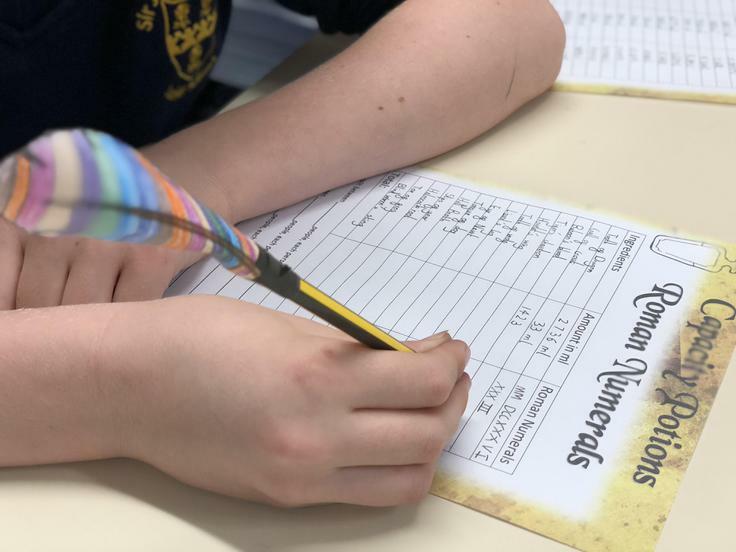 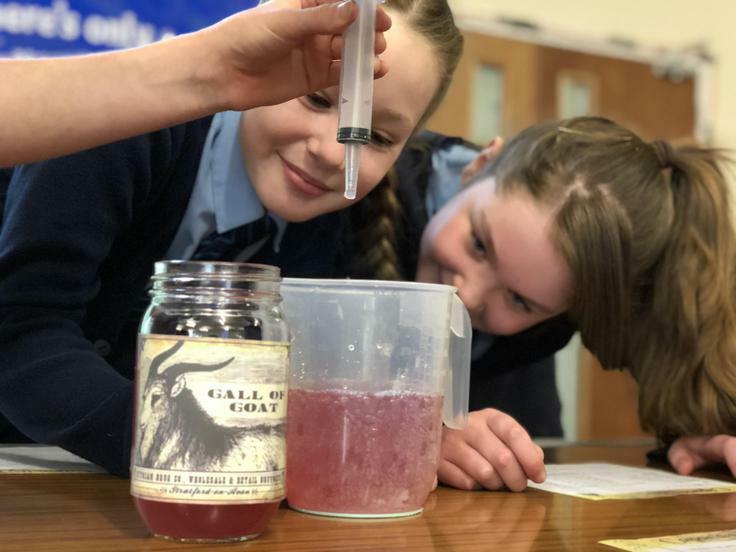 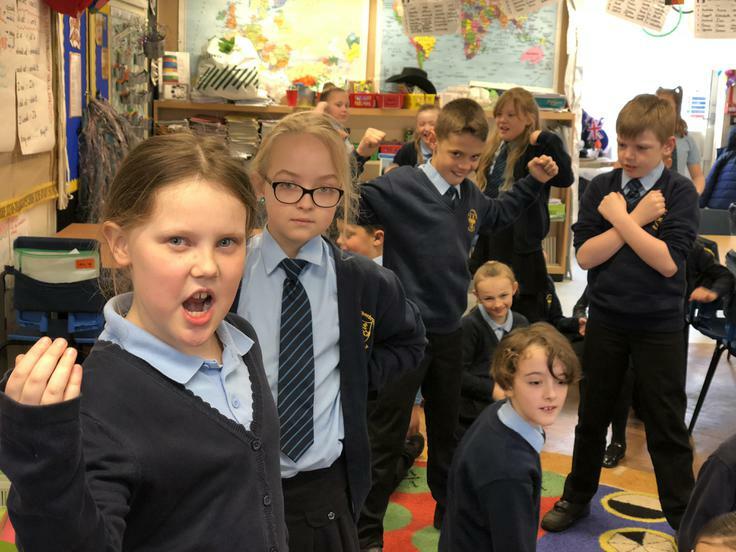 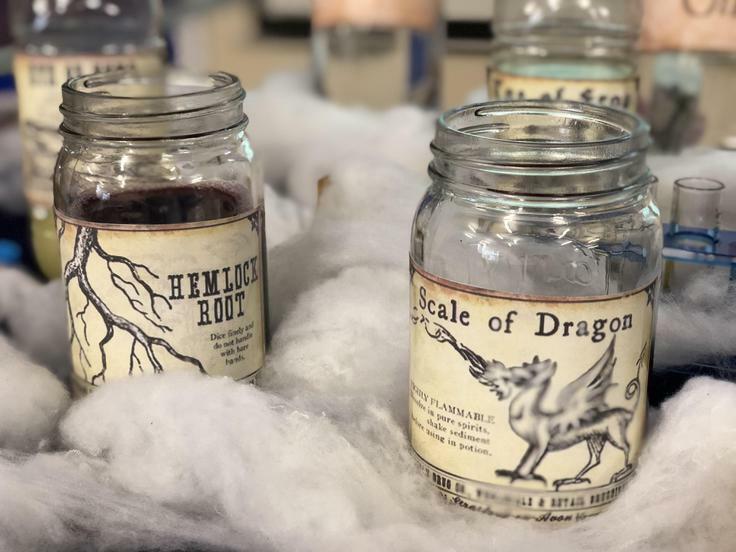 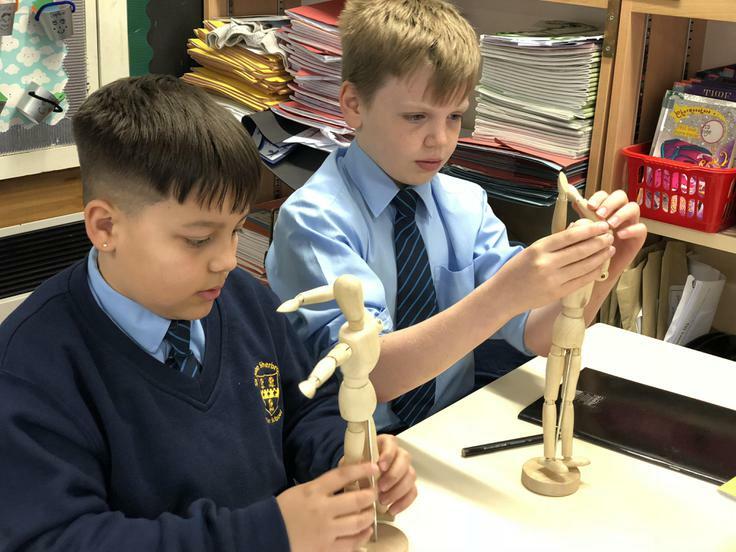 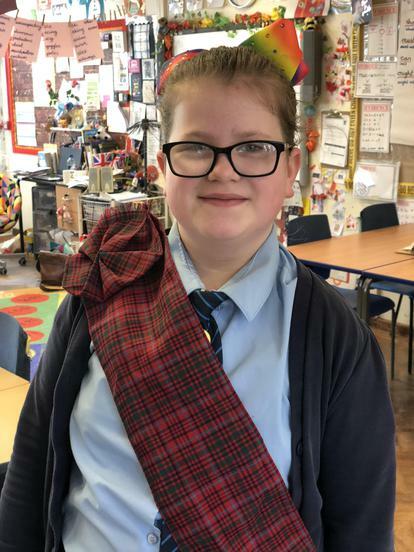 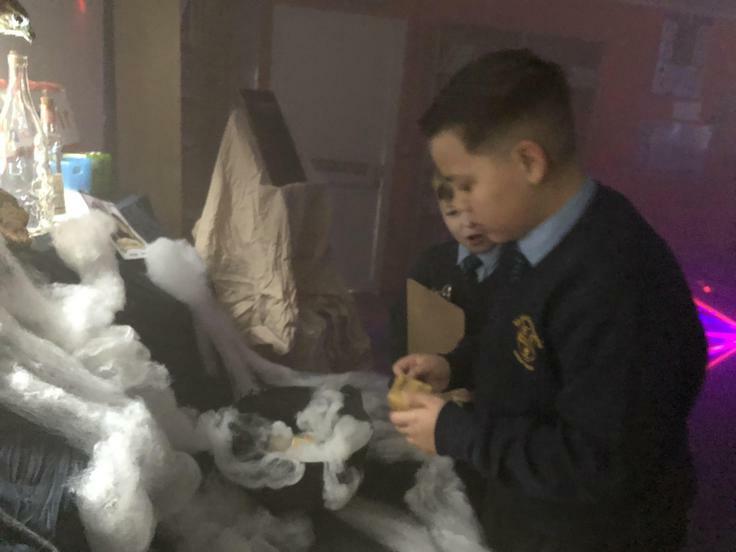 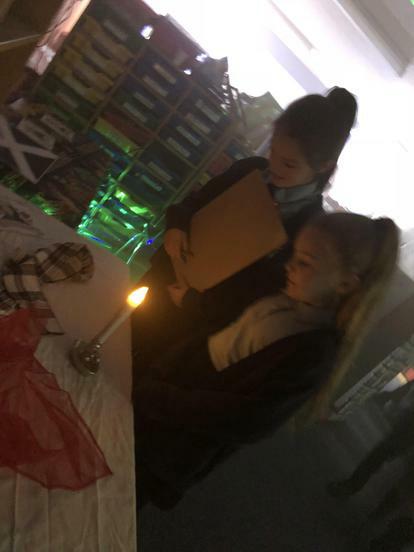 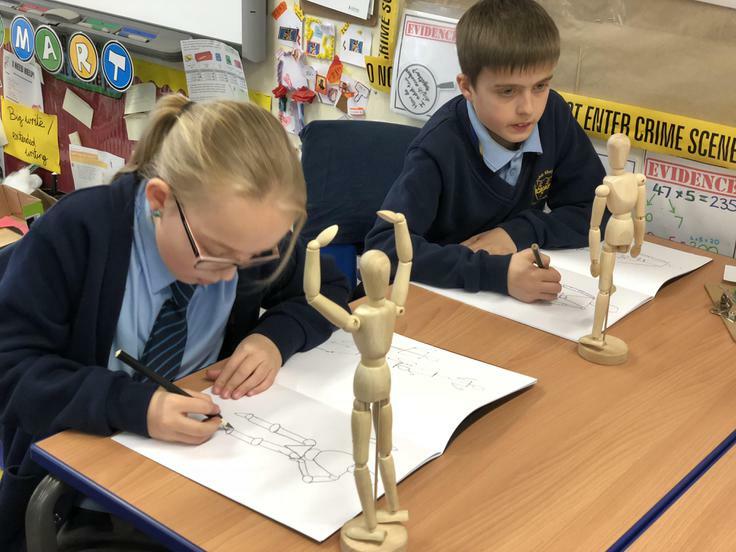 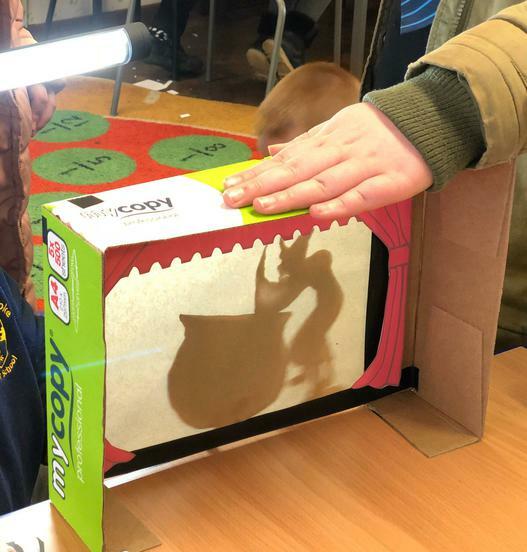 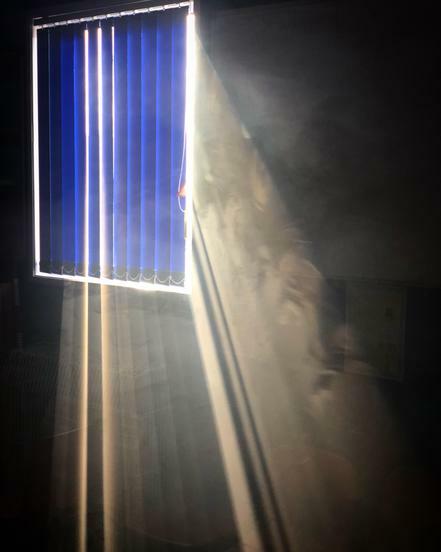 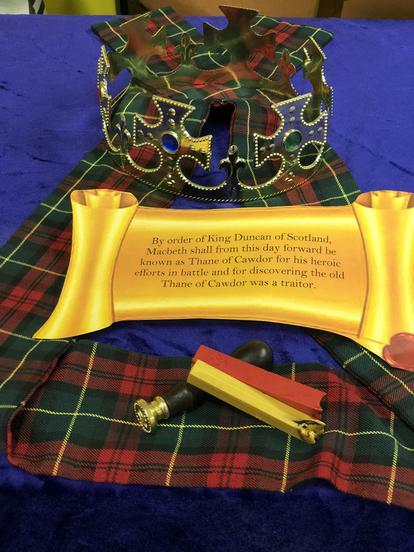 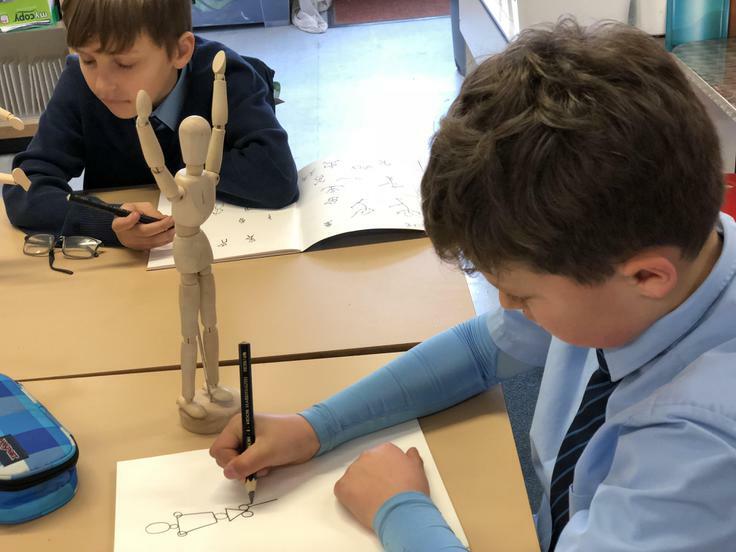 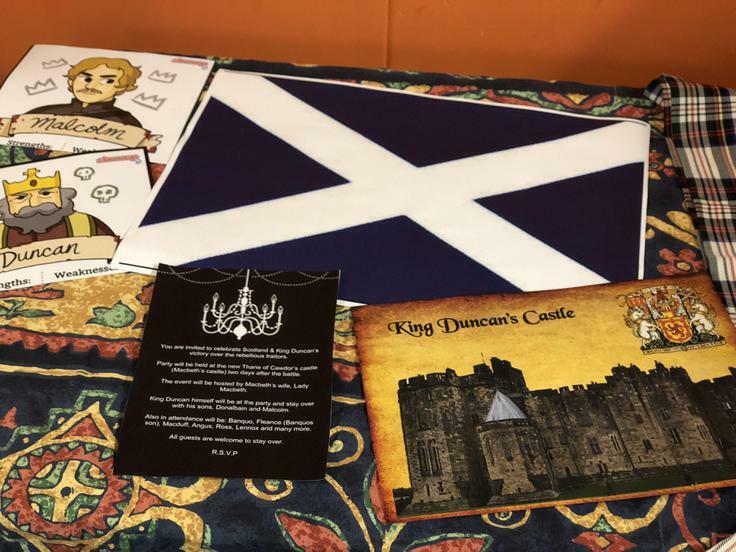 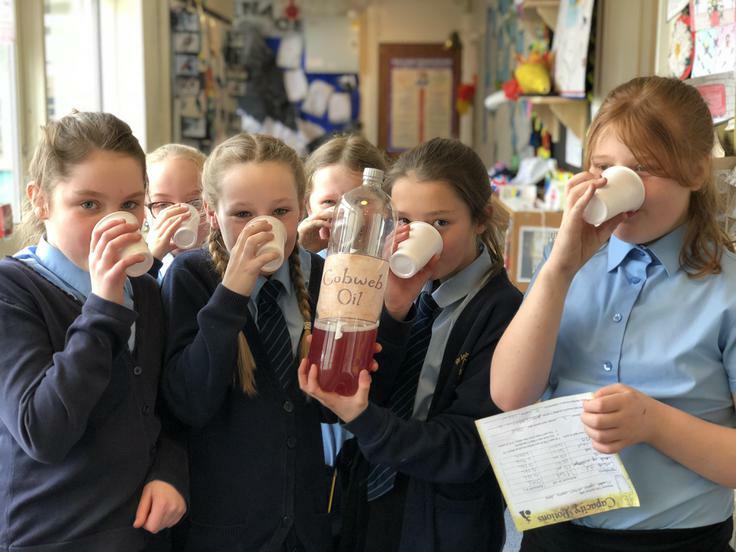 The children have also done a wide range of lessons such as capacity potion making in maths, Macbeth themed poetry across the whole school, Scottish Highland games and army training in PE, Shakespeare art, shadow puppetry, cooking, singing and much, much more.